If you live in New York, congratulations! Medical cannabis is coming your way. Here’s what you need to do to get your MMJ card when dispensaries open in January 2016. 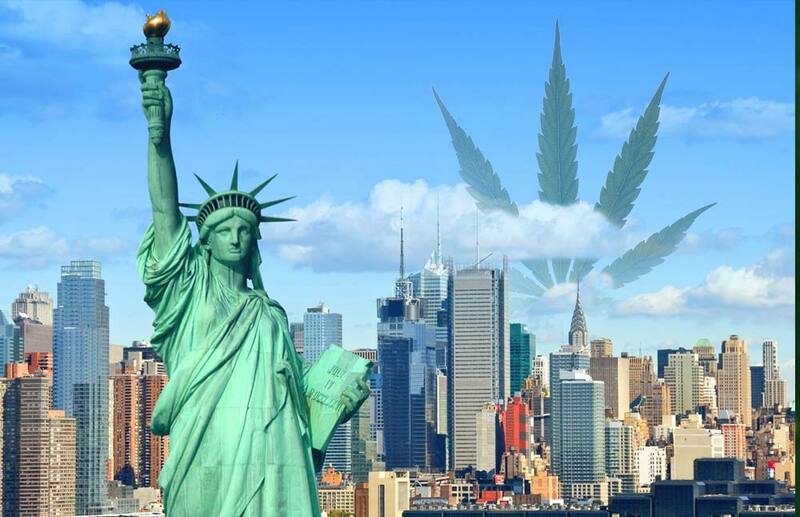 Cancer patients who have wasting syndrome; severe or chronic pain; severe nausea; seizures; or severe or persistent muscle spasms will qualify for legal cannabis in New York. People with HIV/AIDS, ALS, Parkinson’s disease, multiple sclerosis, spinal cord damage causing spasticity, epilepsy, inflammatory bowel disease, neuropathies, or Huntington’s disease also qualify. Your certification must come from an MD who is currently treating you and who has completed the required training program with New York’s medical marijuana program. You have one year from the date you are certified to apply for a state registry identification card. If your doctor isn’t familiar with the program, you can pass on some helpful information from our friends at Compassionate Care New York about how they may register with the state. You’ll create a NY.gov account and submit these items to the Department of Health along with your photograph, proof of NY residency and doctor’s certification. These people are called caregivers and must be over 21 and must go through the same application process as the patient. Expect it to take about 21 days for your patient certification card to arrive in the mail. Cancer patients in New York will have access to cannabis that has been processed into capsules, such as liquid or oil extracts to use in vaporizers, or as liquids or oils to take in the mouth. Smoking marijuana is not allowed and topicals or edible products like cookies, brownies, and drinks are not yet approved by New York’s Health Commissioner. You may possess a 30-day supply of your cannabis at a time and you can get a refill from the one of the dispensaries located across the state seven days before the end of that period. Also remember that federal law prohibits cannabis from crossing state lines. People who are taking medical marijuana (and people working in the industry) are protected from prosecution and discrimination under New York’s medical marijuana law. For more information, check out New York’s official Medical Marijuana Program Regulations here. Have you talked to your doctor about getting a medical cannabis card? Contact us and let us know about your experience. Next articleWhat Is The Endocannabinoid System? 6 Things You Should Know.